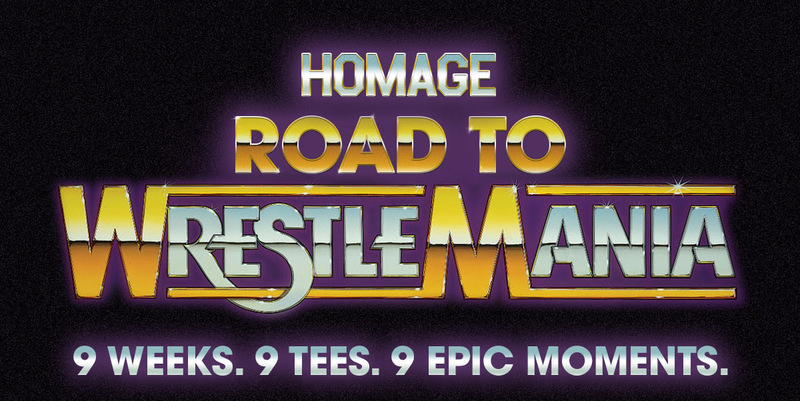 Homage continues its “Road to WrestleMania” countdown with a new t-shirt based on the greatest spectacle in sports entertainment! 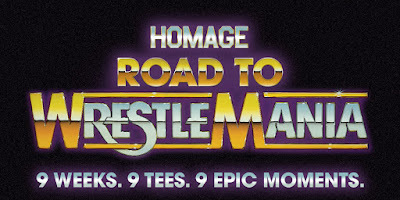 Every Monday for nine weeks, Homage is introducing a new WWE t-shirt commemorating the matches, the wrestlers and the memories of WrestleMania. 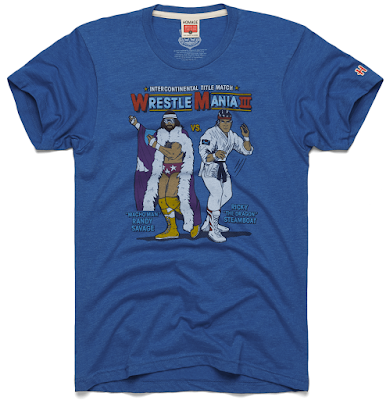 This week’s t-shirt pays homage to 1987’s WrestleMania III at the Pontiac Silverdome where 93,000 saw one of the greatest professional wrestling matches of all time: “Macho Man” Randy Savage vs Ricky “The Dragon” Steamboat for the Intercontinental Title. This epic showdown saw Steamboat emerge victorious in an all-time classic that cemented both wrestlers’ legacies amongst the greats. The WrestleMania III t-shirt “Macho Man vs The Dragon” is available now, in sizes XS-3XL, at the Homage online store for $32. 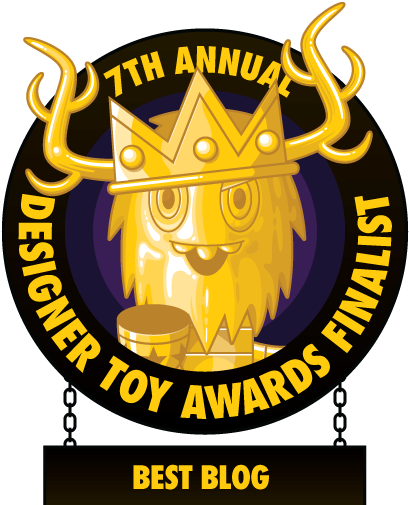 And if you use this link here to make your purchase you can get $20 off your next purchase of $40 or more!